Ninety four dogs have been removed from a pet shop in Lincolnshire during a raid by police and RSPCA inspectors. 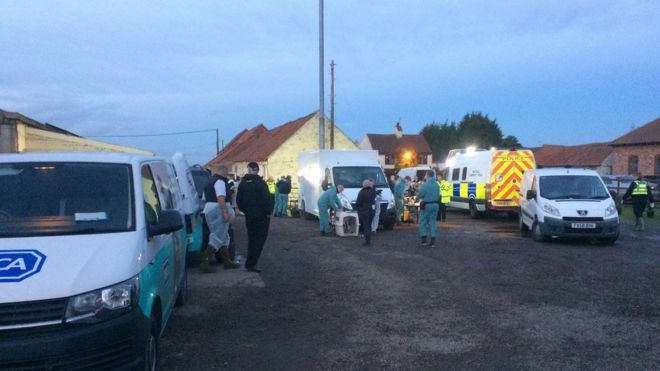 The RSPCA said police executed a warrant at Little Rascals in Brant Broughton, near Lincoln, on Tuesday. Inspectors said investigations were ongoing and no arrests had been made. The dogs are now in RSPCA care. The Vets and Dogs Trust was also at the scene of the raid, the RSPCA said.